Strawbizzle is a rejuvenating liquid that is like no flavour out there. The standard strawberry flavour has been flipped on its head producing a liquid that is nothing short of revolutionary. With each inhale you’ll taste the sweet strawberry that is quickly enhanced with a sherbet zest, sending your mouth into a euphoric fizzle twizzle. 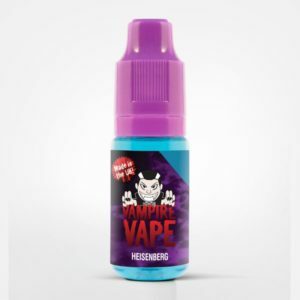 50ml of juice in a 75ml bottle gives you the ability to use nicotine shots to create either a 3mg or 6mg with no fuss. Add 1 x Nicotine shot (sold separately) to make 60ml of 3MG strength, add 2 to make 6mg strength.